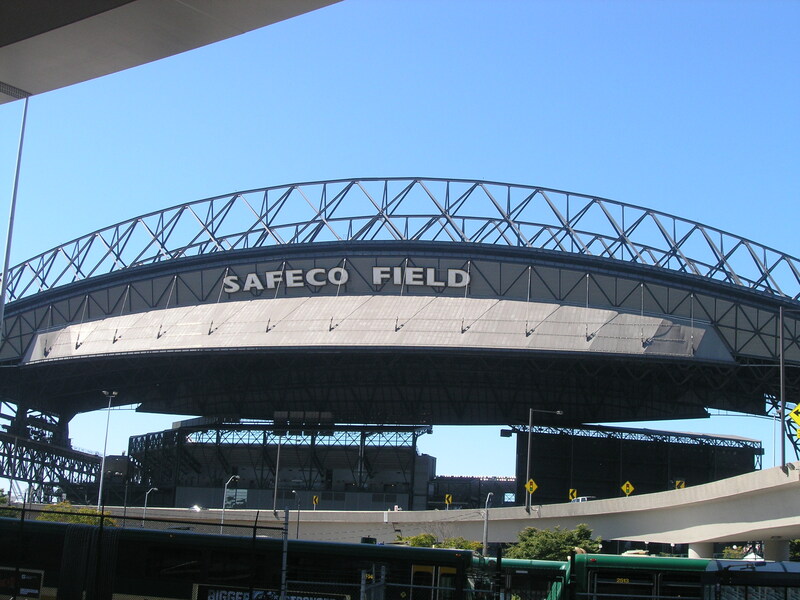 After heading to New York for my last Bucket List stop, I can’t lie when I say that I was biased about being underwhelmed at the thought of heading to Safeco Field. I love Seattle and could spend plenty of time there, but how are you going to compete with the luxury and ethnic diversity of Yankee Stadium? I should know better than to judge anywhere before I’ve eaten my way through it, and my misconceptions were proven wrong upon entering the home of the Mariners. 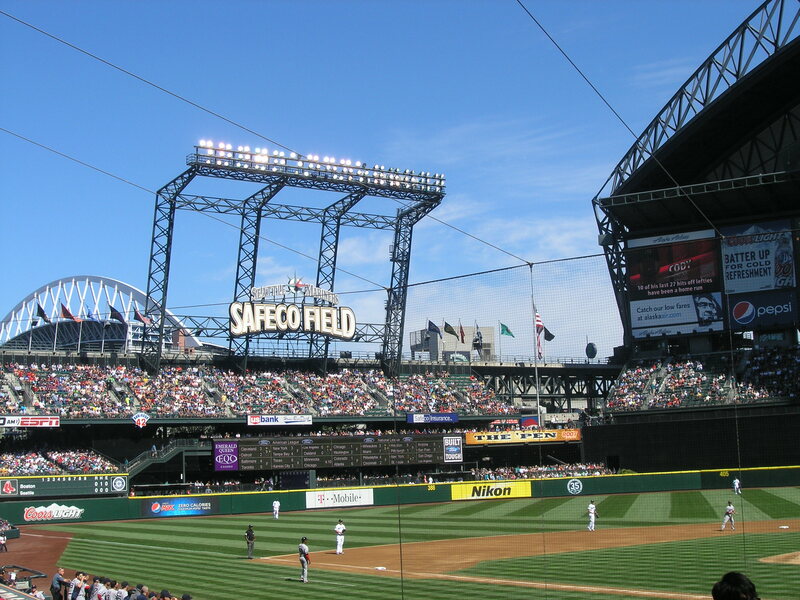 Safeco Field doesn’t compete with Yankee Stadium; it doesn’t have to. The cuisine for our Northwest representative is just that, a representative of local food and local culture. It doesn’t need the glam of New York City because they are best of being true to themselves. I knew it from the second I walked into the beautiful stadium. – The best pun-intended names for dishes. Ichiroll Sushi, Intentional Wok, and the Grounds Crew (coffee) were all clever names that I found adorable and really memorable. I’ll speak for the Intentional Wok, a Thai-inspired station, where you can smell garlic and ginger from about two sections away. The dishes are more expensive ($11- $14) but you get a huge plate of food. – Clam Chowder in a Bread Bowl- located in the right field concourse- Ivar’s Clams is a famous restaurant on the waterfront. 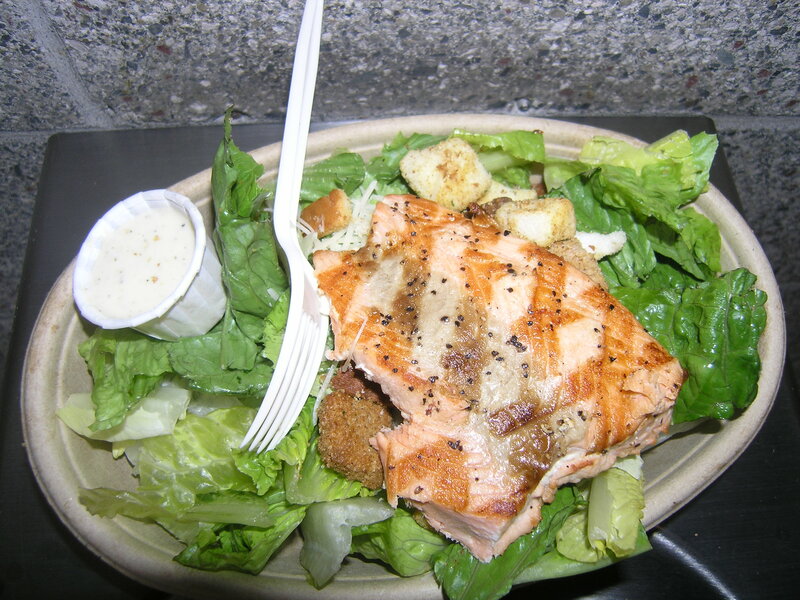 They opened their stadium location and serve up all the classics including chowder (bread bowl optional), salmon caesar salad (which I had and enjoyed), and the Ivar Dog- fried cod served on a toasted roll with tartar sauce. If you are looking for local cuisine, here’s where to find it. – Extensive Vegetarian Options- located in the main court behind home plate- I am not the biggest meat eaten on the block, but I can only imagine how difficult it is for a vegetarian to go to a game and feel satisfied by any baseball meal. Safeco offers up not just vegetarian options like a hummus platter with pita chips (gluten free available) but also serves veggie dogs, veggie burgers, and veggie bratwurst. I had the bratwurst one evening and was really satisfied. They carry gluten free chips, smoothies, and other healthy options that are a good choice for anyone watching their calories. – Chocolate Covered Strawberries- located in the food court behind home plate- this was a fun treat to find during a perfect fall evening. 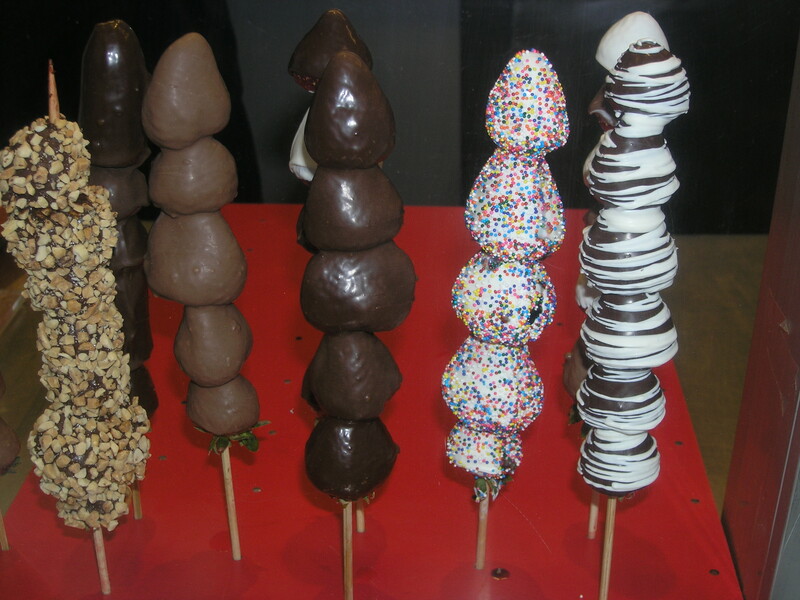 The kabobs come with chocolate covered strawberries and bananas. You can add fun condiments like sprinkles or peanuts to the mix if you’re feeling like really having some fun! – Starbucks- I KNOW. STARBUCKS, IN THE STADIUM? How could I (a proud member of Starbucks Anonymous) ever pass up my two loves, Starbucks and baseball? Well, the Starbucks stand is a little deceiving. The stand serves the famous coffee and even offers lattes, but only with one kind of milk and a small variety of condiments. No syrups, splenda, or fun drinks to be found. I couldn’t totally tell, but the espresso drinks might be made out of a machine instead of hand-brewed, which is a big no no. I’d skip it for lack of authenticity and a big price tag. I hope everyone has a chance to visit Seattle and experience the city with as beautiful weather as we did. We found great restaurants on the water, spectacular sights at Pike Place Market, and a plethora of adventure at Safeco Field. As I always learn from my excursions, local cuisine is a great start to learning about local cuisine and culture. The dedication to local markets and fresh products can’t be ignored, whether it be the local beer joint downtown or the all-American stadium just a few miles away.